Freshly extracted cacao seeds. The juice from the pulp around the seeds is drained on to banana leafs and into a vessel. 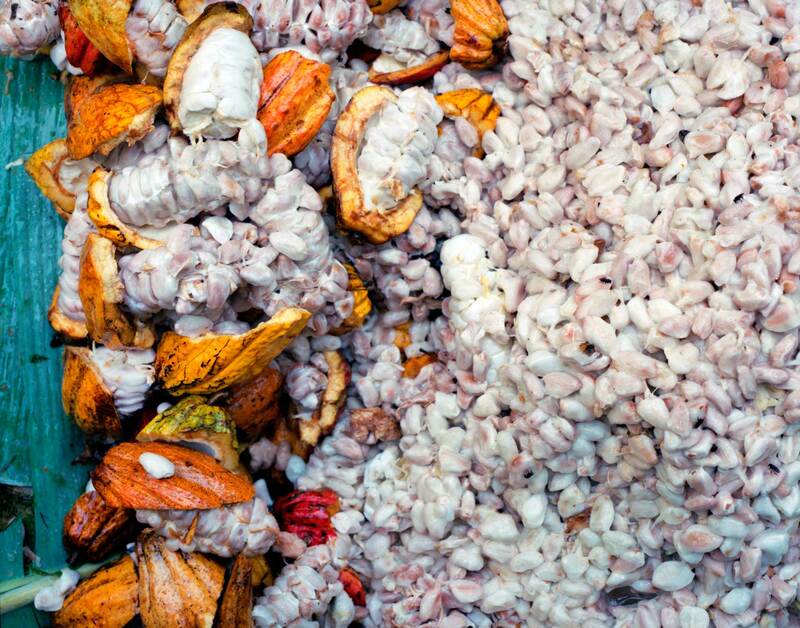 The juice -'miel de cacao' lasts no more than a day and you never see it out side the areas where cacao is grown.